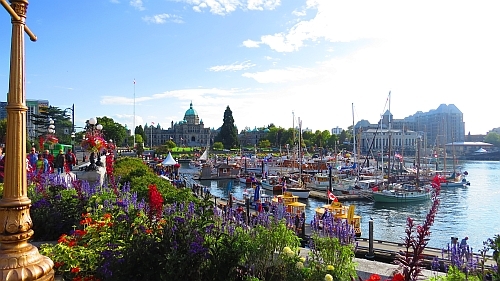 Flair Air has dropped the price of a few June flights from Toronto to Victoria, BC down to $305 CAD roundtrip including taxes. The flights have 1 short stop in Edmonton each way. $305 roundtrip is the price with carry-on bag fees included, for a fair comparison against WestJet and Air Canada's prices. This price (with carry-on bag fees included) is about 42% cheaper than WestJet and Air Canada's current/typical prices from Toronto to Victoria. WestJet and Air Canada do have non-stop flights from Toronto to Victoria. They typically cost around $550 roundtrip. toronto, yyz, flight deals, british columbia, canada, bc, north america, flair air, victoria and yyj.